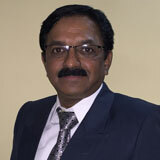 Mr. K S Satish is General Manager, Head - Quality & Service. He has completed his Diploma in Mechanical engineering from CPC polytechnic, Mysore and Post Graduate Diploma in MSc in Engineering Business Management, University of Warwick, UK. He commenced his career with AAL as a Trainee in 1987 to 1997 in Gear Shop as an Engineer looking after Production/MFE. And from 1997 to 2000 has worked at Gleason India, Bengaluru as an Application/Service Engineer and again rejoined AAL, Mysore in 2000 as Deputy Manager – Gear Engineering and has worked in various departments like Production / Manufacturing Engineering (specialized in Gear Engineering).